56117 was new from BR Crewe on 13th March 1983, and was withdrawn as surplus from Crewe in December 2003. 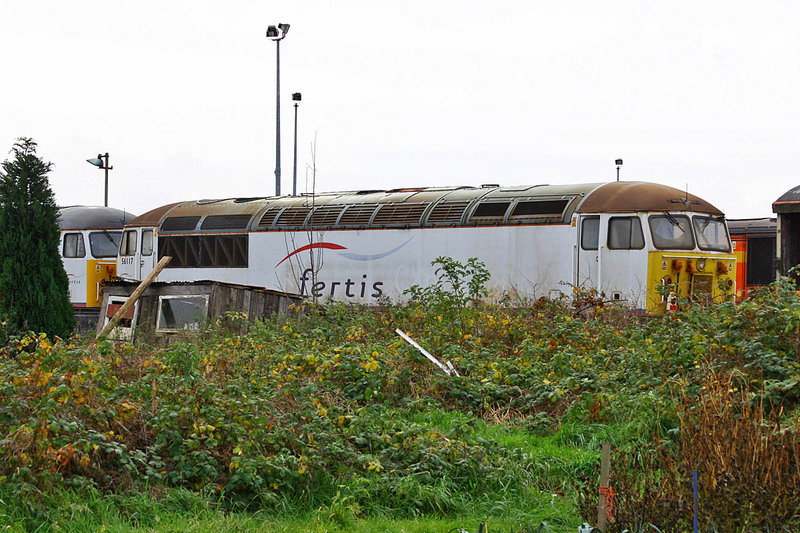 Sent to France for Fertis between October 2004 and October 2006, then stored at Eastleigh. Sold to Floyd in 2011, initially moved to Nemesis Rail in 2012, then moved to Hungary via Immingham in July 2013. Understood to be kept for spares to support the former 56018 and 56115. 3.623 was the NOHAB demonstrator sent to Hungary in May 1960, and led to an order for 20 units of the popular class M61, which could not be followed by further orders because the sourcing was beyond the Eastern Bloc. 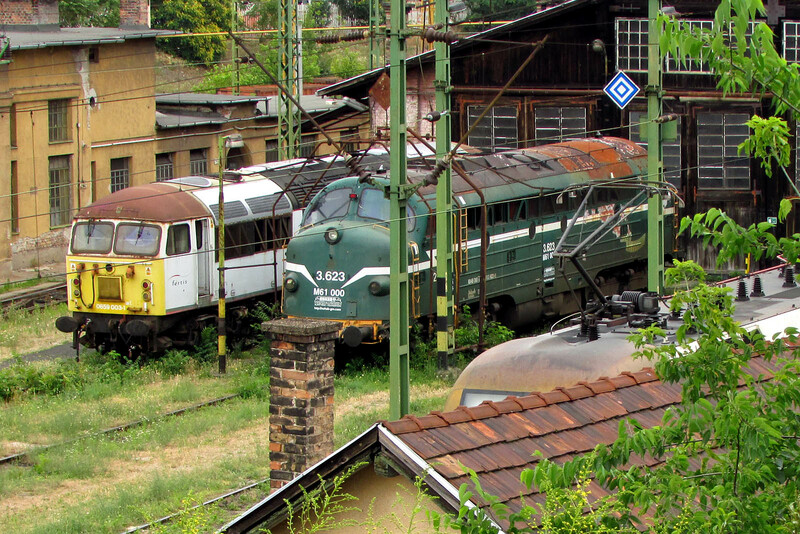 In April 2014 the locomotive suffered an electrical fire, and a rescue followed for preservation in Hungary. 56117 at Eastleigh, 9th November 2008.